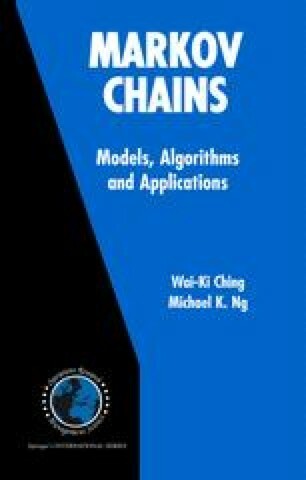 In this chapter, we present the a multivariate Markov chain model with estimation methods for the model parameters based on solving linear programming problem. The model has been applied to multi-product demand estimation problem, credit rating problem, multiple DNA sequences and genetic networks. We also extend the model to a higher-order multivariate Markov chain model. Further research can be done on the following issues. New estimation methods when there are missing data in the given sequences. The case when the model parameters λij are allowed to take negative values. The treatment can be similar to the discussion in Section 6.4.